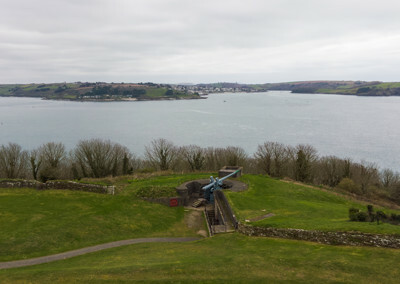 Taken from the top of the Pendennis Castle Keep. The cannon in the center would normally have a cover with a slot in it. 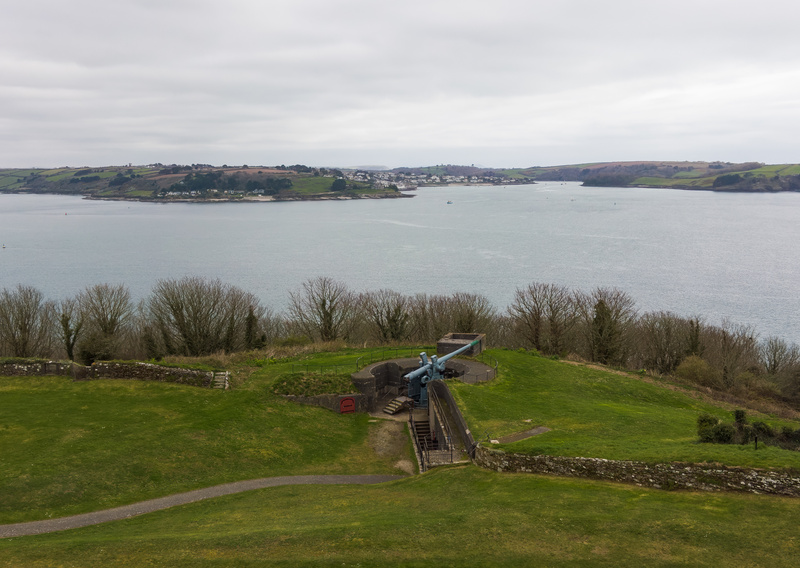 When the cannon fires, the recoil would cause the cantilevered cannon to drop into the pit where it could be reloaded and then swung back up into firing position. Inventive way of coastal defense. What ever happened to the good ol' days?